New Gator McBumpypants Picture Book Now Available! 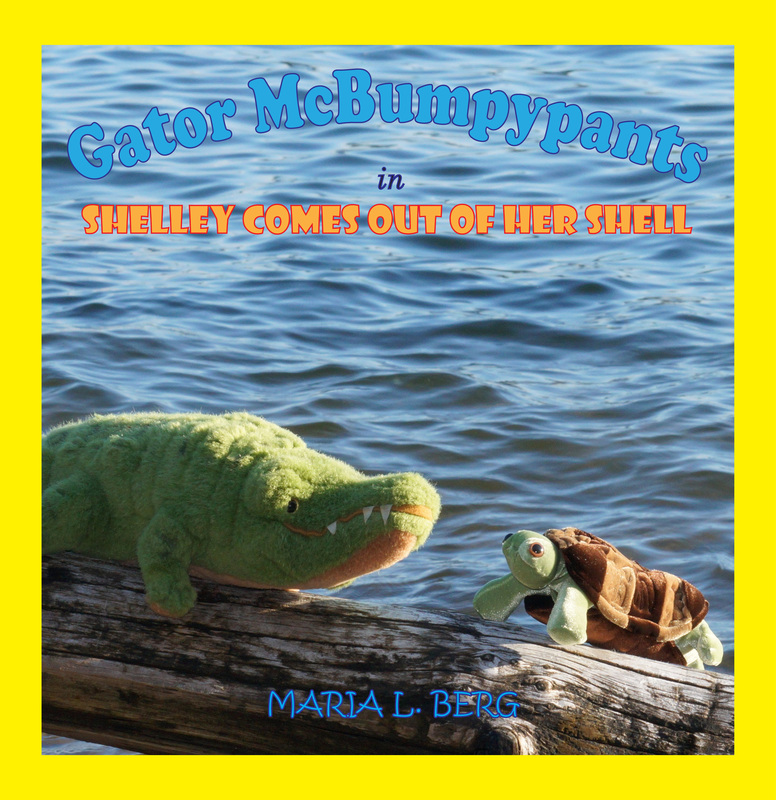 Gator McBumpypants in Shelley Comes Out Of Her Shell is a sweet story about the challenges of making new friends. It also covers themes such as empathy and knowing when to ask for help. Last year, I designed and made a little box turtle. I had an online contest to name the turtle and the winning name, contributed by Amy Chesler–Thank you again, Amy–was Shelley. Shelley first appears at the very end of Gator McBumpypants Doesn’t Say Goodbye. If you haven’t read it yet, it is a story about Dee Dee the duck flying south for the winter and having to part with her friends. In this new book, Shelley gets her own story. She is finally convinced to go on an adventure with Gator McBumpypants and Herman, but she gets a sliver and then is stuck in her shell! Shelley was very fun to work with. Her fabric has a little shimmer when the light is just right. I also designed her so that she tucks into her shell. 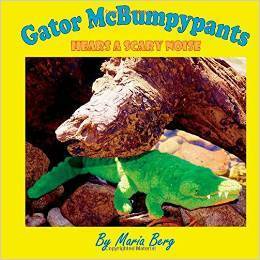 For those of you who have been following along with my writer’s journey here at Experience Writing (and Maria Berg’s Writing Life before that), you may recall that Gator McBumpypants was inspired by a photography assignment. I needed models and didn’t have anyone readily available. I grabbed a couple of my stuffed animals and took them outside. While I posed them and photographed them, the story of how they met and became friends came to me. That was the birth of Gator McBumpypants Hears A Scary Noise. Since publishing that first picture book, I have designed and made two new characters, Dee Dee the duck and Shelley the box turtle. Creating the characters and stories is fun and challenging, but I also continue to use these books as photography projects. Each year I focus on a specific technique. Last year I tried out colored filters, a wide angle/fish-eye lens and a difficult setting. Though the images using the colored filters and fish-eye lens did not make it into last year’s book, the techniques may be incorporated in the future. The setting was too beautiful to distort and the fall colors did not need a bit of enhancement. This year, I learned bokeh shape photography. The word bokeh comes from Japanese and literally translates as “blur”. Using a hand-cut filter, I am able to create shapes with every point of light in the unfocused area of my photograph. I incorporated some of the bokeh images into the book and I think it brings another dimension of magical fantasy to the already fun mix of photography and play. As the characters and stories progress and grow through the series, I, as a photographer, grow as well. Each year is a new adventure. I hope you will think about bringing the joy and play of Gator McBumpypants books to your family this year.